Dog owners are reminded that dogs must be kept on a leash at all times and to clean up after their dogs. Alcoholic beverages, camping, open flames, motorized or self-propelled vehicles (except motorized wheelchairs), and skateboards are prohibited. Fishing is permitted along the shoreline and in the designated fishing area on the southern end of the pier. Visitors are asked to stay on trails and stay off vegetated areas while they take root and get established. Bicyclists are advised to wear a helmet, stay only on paved trails, and to respect pedestrians. There is no admittance to the fenced-off wastewater treatment facility without prior approval. Teachers, parents and students: turn your visit to Deer Island into an educational exploration. Low maintenance, native plant species similar to those of other Harbor Islands. Deer Island, which connects to the town of Winthrop, Masschusetts, is accessible by car and public transportation. 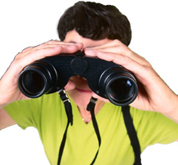 For GPS, the address to use is 190 Tafts Avenue, Winthrop, MA 02152. From Boston, the Callahan or the Ted Williams Tunnel, follow Route 1A North, McClellan Highway, until first traffic light. Follow Shirley Street to Elliot Street take a right and follow Elliot Street around to the left. Check in at Security Gate. By Public Transportation: The Town of Winthrop Chamber of Commerce website includes information about Town of Winthrop bus services to Deer Island. Tours are offered on Tuesdays and Fridays only. Prior reservations are required for all tours of MWRA facilities. Please see important security information below. We welcome visits from professional groups, civic clubs, and especially interested MWRA customers. Reservations and I.D. are required. 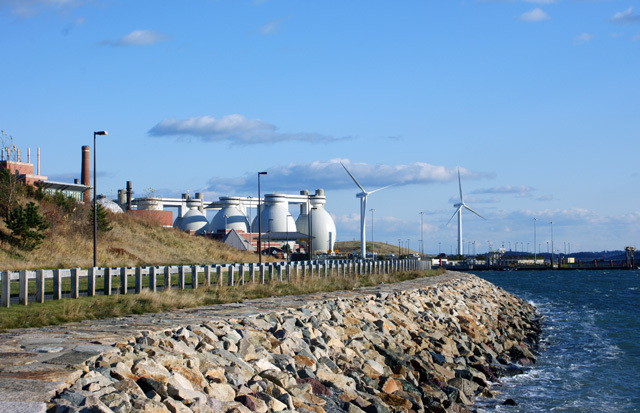 The MWRA offers tours of Deer Island each month from April through November beginning at 9:30 a.m. Tours are offered on Tuesdays and Fridays only. 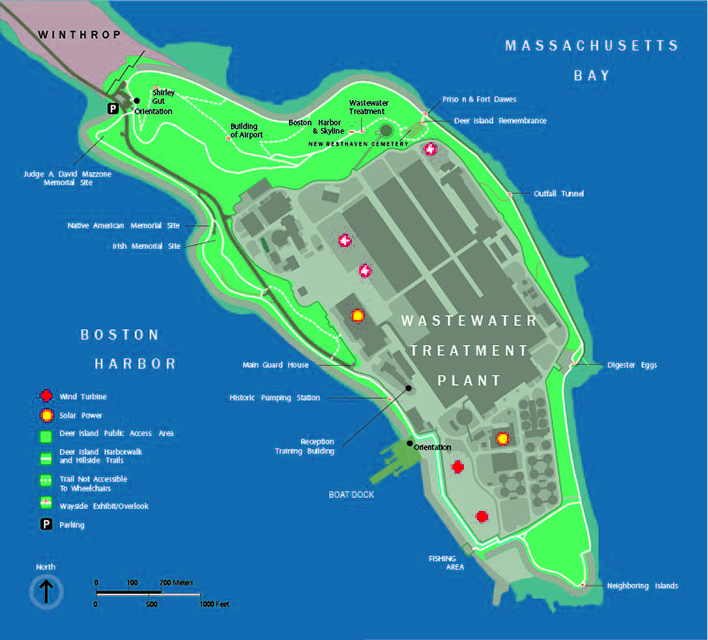 Prior reservations are required for all tours of MWRA facilities. Upon reserving a tour, visitors will receive a security form. Domestic visitors are required to complete and submit their form to MWRA Security 7 days in advance of their tours. International guests are required to submit their completed forms 14 days in advance, along with a copy of their passport. Our tours take visitors to the heart of a working treatment plant filled with heavy machinery. For the safety of our visitors and our staff, we must restrict our tours to students in Grade 7 or above. Those interested in visting the plant with children in grades 6 or below are encouraged to try our Deer Island Scavenger Hunt. NO PETS are allowed on facility tours. Only service animals trained to perform a specific task for the benefit of a person with a disability are permitted. (617) 660-7607, or email: Nadia.Caines@mwra.com.